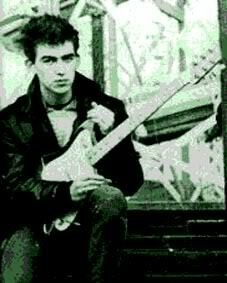 I'm in love with George Harrison . I love George Harrison . I miss George Harrison . I'm happy there was a George Harrison in this world. It's a great album, full of amazing songs. Apart from the studio jam stuff. I could get through the rest of my life without ever wanting to hear all that again. Yeah, I gave that stuff 3-4 plays at the most. No doubt they were more enjoyable for George & co. to record than for anyone to listen. And whatever could've possessed George to lay down all those unrelated freeform Moog sounds (excerpts from "Electronic Sound", apparently) on "Thanks For The Pepperoni " or whichever one it was? That's just bizarro. Yes you're right. Actually when I listened to the jams I was like "Uh?" and then I just clicked again in the first song. I'm sure they were plenty of fun to record. And I'd imagine in the 1970s they were appreciated by some. Nowadays it just seems like stodgy bloke-rock. Does anyone have the CD reissued of ATMP in the box? It has an awful updated version of My Sweet Lord . Seriously, I love George and everything, but I'm not sure he really knew his strengths and weaknesses all that well. The Moog one was I Remember Jeep . Electronic Sound is another album that leaves me mystified. I did like Wonderwall Music though. Electronic Sound was amazing. It was inspired by Karlheinz Stockhausen. My friend Clayton met him back in 71. Listen to his Mid 50's music, it's simply stunning. Yeah, I'm quite fond of Stockhausen's "Kontakte". I've got "Hymnen" too but don't care for that one all that much. I guess I just prefer actual electronics and those early Moog gimmick records (like "Electronic Sound") to tape-loop assemblages. I've got that ATMP in the colourized box with the extra tracks, and I really like that demo version of "Let It Down " so much better than the original album version - none of that Spector bombast. "I Live For You" too, that's another one I'm surprised was left off the original. Actually I didn't mind My Sweet Lord 2000 maybe because I was blown away by the album. I'm still blown away. Electric Arguments is my next purchase. Oh dear, George voice does sound awfully weak on that one. How did anyone give a nod to this?! He could have made a "naked" version from the original, that would've been better. I'm glad I'm not the only one. I've finally started listening to the originals and I just want them to be cleaner. I guess we're spoiled by all of the remasters that have come out. I like this album quite a bit. I would have never guessed. Welcome to the forum. I went to order the 2001 remasters and read that there are some who say the sound quality is not as good as the first CD release from 1990. Does anyone here feel the same way? I want to order it, but don't want to be dissappointed with the sound quality. I'd like to, but I only have 2001. Where's Happy Nat when you need him? Thanks very much, skye. I was only asking because on the Amazon product description there was a blurb that said something about the sound quality not being very good on the 2001 release. I guess it had to do with the way the recordings were remastered using too much volume. This in turn caused a lot of the higher range stuff being somewhat distorted. I am not a techno-geek (I mean that in the nicest way possible for those of you who are) so I have only an inkling as to what that means. Are you happy with the sound quality? I'm probably being super picky on this but as you said, we are kinda spoiled by all the recently remastered gems. Since my ears are destroyed (thank you walkman and mp3 player inventors) I can't really tell. And I don't have the original version so…. Happy Nat can answer that question, that's for sure. I think MSL 2000 is deliberately bad, because George regretted making it into such a commercial song. I'm happy with the sound quality on the remaster- I can't tell the difference between the old songs on YouTube and the remasters (whereas Instant Karma , for example, sounds better on YouTube than remastered).